Henry Wadsworth-Longfellow was an American poet most known for his lyrical prose. He often broached stories of mythology or legend intended to reach wide audiences - a feature of his work he was often criticized for. His first poem was published when he was just a teenager, and it ignited a long and successful career in writing. Despite enduring a life spotted by tragedy, Longfellow wrote some of the literary canon’s most defining works. He wrote in response to political conflict as well the misery that plagued his personal life. This is a glimpse into the life of America’s writer. Longfellow was born in 1807 in Portland, Maine, to Stephen Longfellow and Zilpah (Wadsworth) Longfellow. His family history contains people from prominent moments throughout American history. His father was a lawyer who later became a U.S. Representative from Maine, while his grandfather, Peleg Wadsworth, was a general in the Revolutionary War. In addition, his mother was a descendent of a passenger on the Mayflower. Longfellow was named after his mother’s brother, a soldier who perished during the Battle of Tripoli in 1804. His earliest ancestors settled in New England in the 1600s. The first child born in Plymouth Colony, Elizabeth Pabodie, was also one of his ancestors. 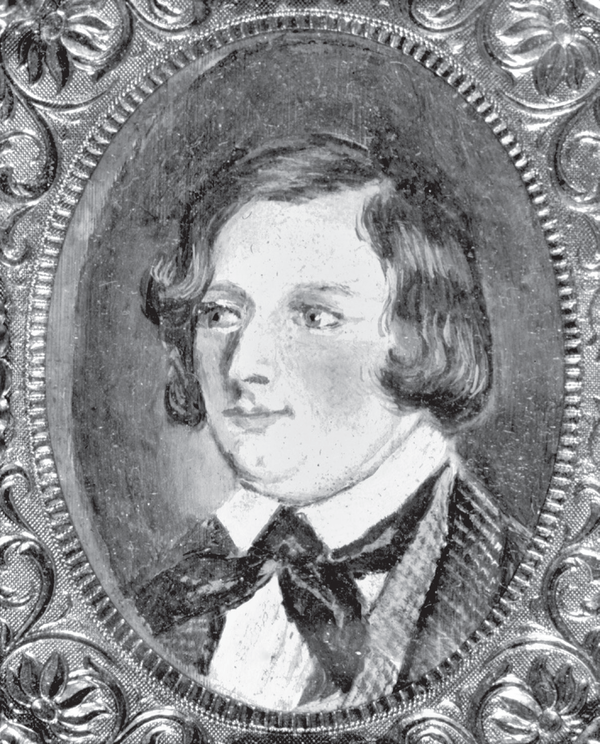 When Longfellow was six, he was enrolled in the prestigious Portland Academy. He studied here for three years, and was one of the school’s most outstanding students. He developed a love for reading and writing that his mother encouraged. She presented him with classic tomes in the English canon: Robinson Crusoe and Don Quixote, which he read voraciously. Longfellow published his first poem when he was just 13 years old. The poem, titled “The Battle of Lovell’s Pond,” was published in the Portland Gazette on November 17, 1820. He remained at the Portland Academy until he was 14, at which point he enrolled at Bowdoin College. Both his grandfather and father were prominent figures at the college, as the founder and a trustee respectively. Here, Longfellow continued to pursue his developing literary goals. He met Nathaniel Hawthorne, most known for his novel The Scarlet Letter, and the two started a lifelong friendship. Between January 1824 and 1825, Longfellow published nearly 40 short poems. Of those, 24 were published in the renowned Boston periodical The United States Literary Gazette. High remarks from professors and advisors during his schooling made Longfellow a deeply sought after candidate for teaching positions across the world. He first accepted a job with Bowdoin, under the condition that he travel Europe to study French, Spanish, and Italian. Longfellow set out for Europe by boat in 1826. He traveled abroad for three years, visiting France, Spain, Germany, Italy, and England. Without any official instruction, he learned French, Spanish, German, and Portuguese. While in Madrid, he met the writer Washington Irving, and recorded being struck by the writer’s work ethic. After traveling in Europe, Longfellow returned to the United States, where he started work at the college, translating works of French, Italian, and Spanish into English. In 1833, he published many fictional and nonfictional pieces inspired by acquaintance Washington Irving. Among these are “The Indian Summer” and “The Bald Eagle.” One year later, he received a professorship at Harvard College, where he studied German, Dutch, Dannish, Swedish, Finnish, and Icelandic. Longfellow spent many of his later years trying to translate Dante Alighieri’s Divine Comedy. Finally, in 1867, he published the three-volume translation. In 1882, Longfellow began experiencing severe stomach pains. It was later learned that he was suffering from peritonitis. He was bed-ridden for several days before dying in March of that year. He is buried at Mount Auburn Cemetery in Cambridge, Massachusetts. Longfellow’s writing made tremendous developments in literature in 18th century America. As one of the leading translators of the time, Longfellow made accessible monumental works of writing from languages all over the world. He contributed to history by responding to controversial moments in America’s social and political spheres. Today, readers of Longfellow will find his work musical and accessible for all.